Medicaid Fraud Control Units (MFCUs or Units) investigate and prosecute Medicaid provider fraud and patient abuse or neglect. The Department of Health and Human Services Office of Inspector General is the designated Federal agency that oversees and annually approves Federal funding for MFCUs through a recertification process. 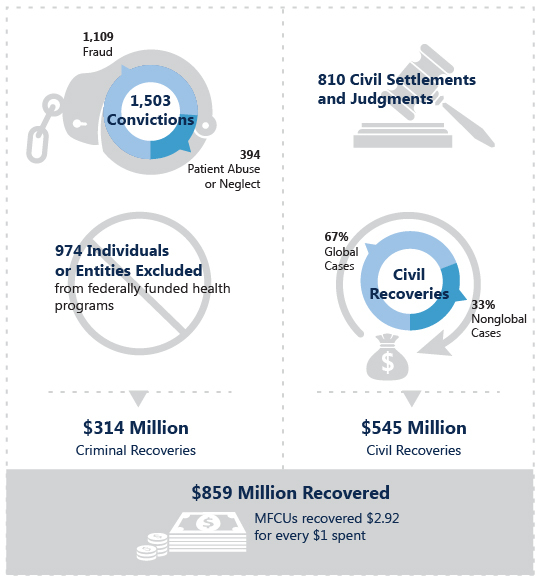 For this report we analyzed the annual statistical data on case outcomes—such as convictions, civil settlements and judgments, and recoveries—that the 50 MFCUs submitted for fiscal year 2018.